Hair treatment should be a part of your hair care and maintenance. Rough brushing, combing, shampooing and applying hair conditioners can add more to the hair damage than beautifying them. You’re shocked? Of course they do, except when you use only those with organic ingredients. M&M which is very famous for our Brazilian keratin products has also other everyday use hair care products. Our Adorn hair care line up can help maintain your hair’s wonderful image, especially if you’ve just had keratin treatment done on your hair. It’s a new wonderful experience that your hair would love to enjoy. 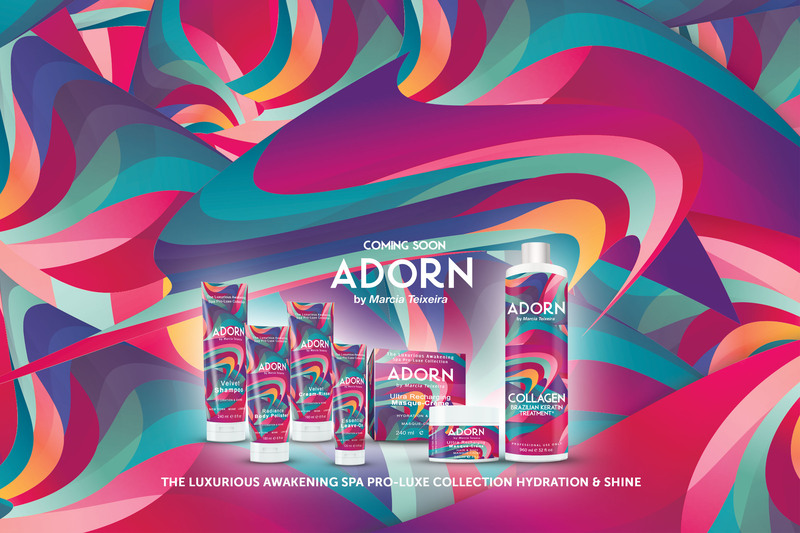 Adorn will continue to extend your hairs magnificent showing backed up by our keratin treatment. Watch for it’s launching soon. M&M has the complete line up of hair treatment that will put to shame what other products have prepared for you. Every ingredient is carefully chosen from the organic sources such as from roots, flowers, leaves and fruits. It’s hard work, but there’s no other way to do it. Mixing chemicals and other inorganic ingredients are much easier. aThey can easily be bought from chemical dealers or they can be prepared in the laboratory without any difficulties. Try to read the ingredients of these inorganic products and what do you see, the same chemical ingredients and preservatives only in varying amounts. They look great. Your hair will manifest some degree of smoothness and shine. However, you feel uneasy and your hair is just barely alive. They’re going to show signs of unhealthiness as days pass by and the end, when the chemical has lost its effect, your hair is ready for “burial’. After a few days of glory its beauty is gone in exchange for several months of deathly pathos. Are going to cook stones with your vegetables or put sand in your spaghetti? Very unlikely, I know. However, it’s the same principle in hair care that many of us have been doing since the beginning. We try to mix inorganic chemicals with our highly organic hair. Why we do the same torture day in and day out isn’t our fault exactly. We are bombarded by nonstop ads and commercials. Also, there were no organic hair treatment products in the class of Brazilian keratin by M&M before. If there were, they were manufactured substandard conditions and very poor in hair treatment delivery. It’s totally different now. Organic hair treatment products are leading the way and M&M is on the top of the pack. Marcia Teixeira is very uncompromising when it comes to the quality of her products. Many hair treatment products come and go, but M&M is still going very, very strong. More and more dealers in other countries are lining up to sell the products in their own territories. They now a fantastic product when they see one. It’s easy to sell and they are sure that what they are selling is the real thing. If you haven’t tried M&M’s Brazilian Keratin hair treatment products, now is the high time to do it. Our products heal while they beautify.